More Tom Cruise than you thought possible in a single film. Despite extensive and irreconcilable plot holes, Oblivion is visually stunning. If you care more about the visual than the plot, you will call the unfortunate plot moments “twists.” You will quickly forgive those final lines that sound a lot like those spoken by Randy Quaid in ID4… You won’t find the title ironic, at all. You will personally resolve that beautiful people working together on a beautiful film will always make something meaningful. You will appreciate the splendor of a house in the clouds. Your belief in Morgan Freeman as the God-figure of film in this era will perhaps deepen. Your post-apocalyptic hope will grow to the point that you may even see that new Will Smith movie coming out. And your Christmas toy list will include the newest x-wing as flown by Tom Cruise in this movie. 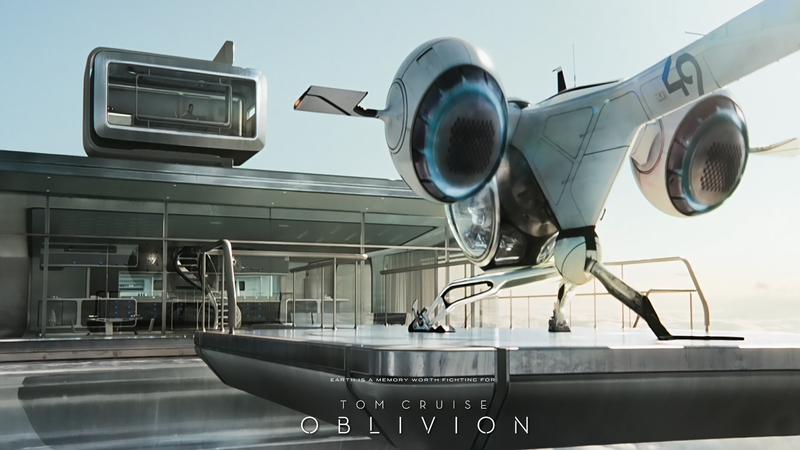 See Oblivion on IMax. Each shot is breathtaking and sci-fi wonderful. It was beautiful! It needed lots of explanatory dialogue to help the audience understand, and I still don’t know who the Texas lady really was, but visually it was very cool! It was so fantastic visually, that I didn’t have time to ponder the plot holes. The movie was just a bit too long. If there is a soul, it is made from the love we share. There are many ways to describe Oblivion, but the softly spoken afterword by Tom Cruise’s character really makes you feel the human heartbeat of this sci-fi epic. As always, the trailer is full of explosions and set pieces. 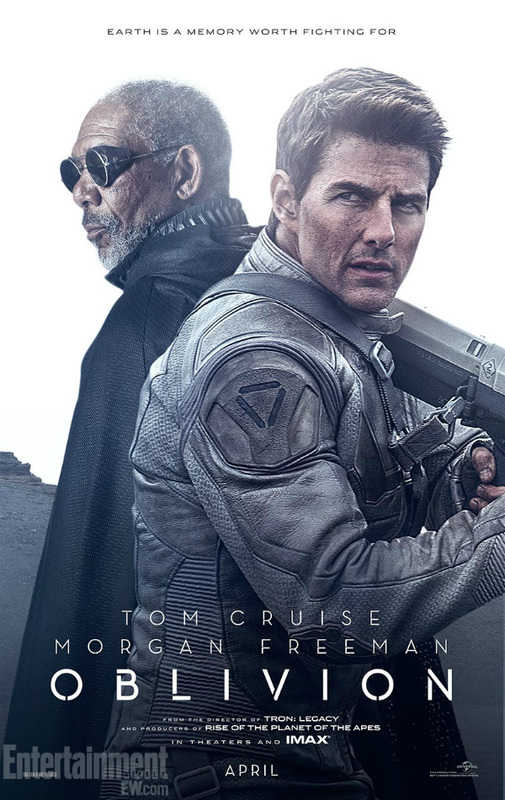 Oblivion the movie is an entirely different beast that values a human story and characters that are driven by common purpose. While the cast is tiny, I found much to enjoy from Cruise, Riseborough, Freeman and that Nordic guy from Headhunters who is showing up more frequently in Hollywood blockbusters. Aside from unusually limited screen-time, Morgan and other supporting cast are effective and memorable. The threads of the plot are well-woven and I won’t give anything away, so what I will tell you is to prepare for a powerful journey into the unknown where nothing is what it seems. Explosive set pieces take a backseat for sci-fi philosophy with twists to spare. Oblivion ticks all the boxes for correct use of literary devices and establishes enough original cannon to stick in your mind long after the credits start rolling. It is a distinct success among the largely abysmal offerings of 2013 so far, don’t miss it.